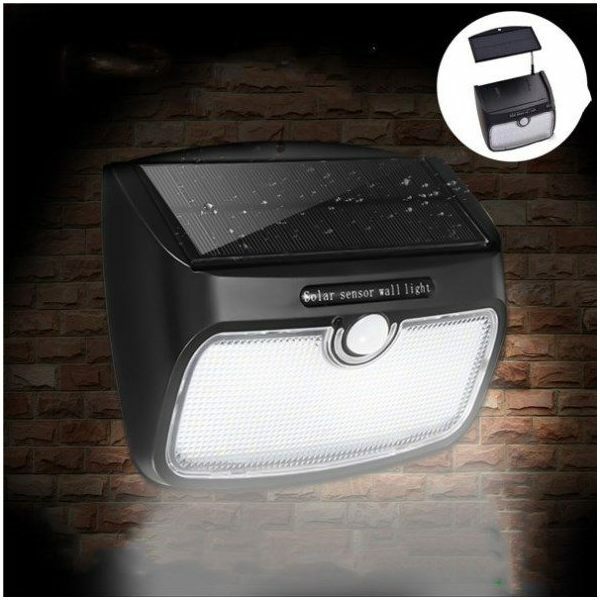 Outdoor emergency Bright 5W 48 LED wall Solar Motion Sensor Light with detachable Solar Panel is a high-quality ARILUX product with multiple features. 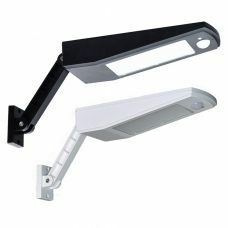 The wall lamp has three major lighting modes including Full or half Brightness, energy-saving DIM light or Motion Activated Sensor. The solar panel can be detached from the light body to provide flexibility with the LED light in shade areas, under the shed or even indoor. 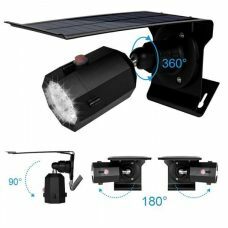 Outdoor emergency Bright 5W 48 LED wall Solar Powered Motion Sensor Light with detachable Solar Panel is an advanced ARILUX® product with multiple features. The wall lamp is fully operated by solar energy with efficient Solar Panel in combination with powerful 3000mAh rechargeable Lithium battery. The product designed for outdoor use and that does not require any additional electric wires or other sources of energy that. 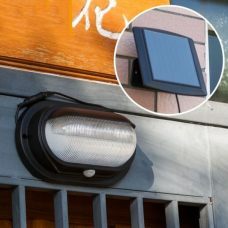 However, the solar panel can be detached from the light body with 2.5 meter explosion-proof extension cable to provide necessary flexibility in running the LED light. That makes this particular model of the lighting device extremely convenient for cases when the area where there is not sufficient sunlight to recharge the battery. The body can be installed separately from the solar panel that can be placed under direct sun. With this upgraded design feature, the motion sensor light can be installed in the warehouse, garage, garden, shed, house wall on a shade side, basement, under the shed and even indoor places. 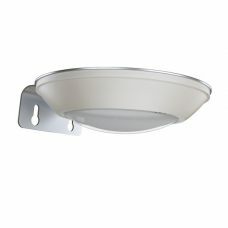 Solar powered light has built-in automatic daylight sensor and also Smart PIR Motion Sensor with pickup range up to 8m. 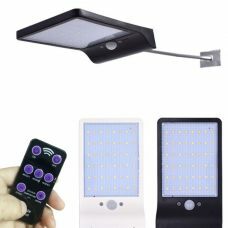 That combination allows running the product in various lighting modes including Motion Sensor only or in combination with DIM light all night, as an all-night light with 50% brightness to extend working hours. - Upgraded Detachable Solar Panel design with 2.5m explosion-proof extension cord to provide enough sunlight even at locations covered by shade. - Long lasting Bright LED performance provided by 48 LED bulbs up to 750 lumens and supplied with 3000mAh built-in rechargeable battery. 1. Press Mode Button for 3 seconds, wait for light blinks 3 times, auto light in DIM mode is set and will be turned all time from dusk. It will turns into full brightness when motion is detected within 5-8 m., 25s after it will be automatically switched into weak lighting. The light works perfect, as described. It is bright and good for places that do not reach sunlight, especial closed rooms or sheds.